One of a series of famous mountains done for an initial book cover design. 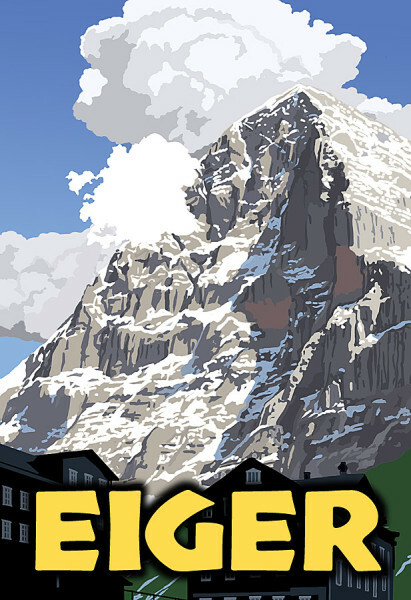 The Eiger’s North Face (pictured here) has claimed 65 lives since it was first attempted in 1936. It’s considered a “test piece” in the United States but better weather forecasting and constantly updated web information has recently turned it into a “trade route” in European climbing circles. After several attempts over 36 years I finally climbed this with my friend Dean Einerson in April 2015. Digital.